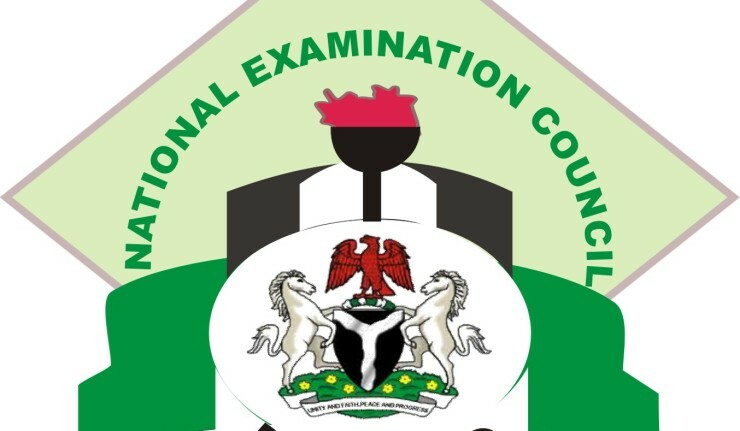 PHOTOS: National Examination Council, NECO June/July SSCE Internal Registration, Eligibility, Guidelines, Fees and Closing Date for Centers and Candidates for 2019/2020 Session. The National Examination Council, NECO wishes to inform all Secondary School that the sales of form and registration for the June/July Senior School Certificate Examination (SSCE) is ongoing. Principals/Commandants of Schools are hereby advised to proceed with the purchase of forms and registration immediately. See: NECO June/July (SSCE) Examination Results Checker 2018/2019. This is the examination taken by candidates in their last stage of Secondary School Education. The SSCE is in two categories. One is for candidates in the third and final year of their senior secondary education and it is called SSCE Internal while the Second is SSCE External and is for candidates not in the School system, i.e. Private Candidates. The SSCE internal has seventy-six subjects which are grouped into the following six categories. Principals/Commandants of Schools are hereby informed that only candidates in their final year of the Senior Secondary School (i.e. SS3) are eligible for registration. For the avoidance of doubt, the June/July 2019/2020 SSCE is meant for only school based candidates in Nigeria and overseas. It is not meant for private candidates. Principals/Commandants of Schools and Ministries of Education should endeavor to enforce the eligibility condition. The following are the registration procedures for Principals/Commandants of schools presenting bona-fide candidates for 2019 June/July SSCE. 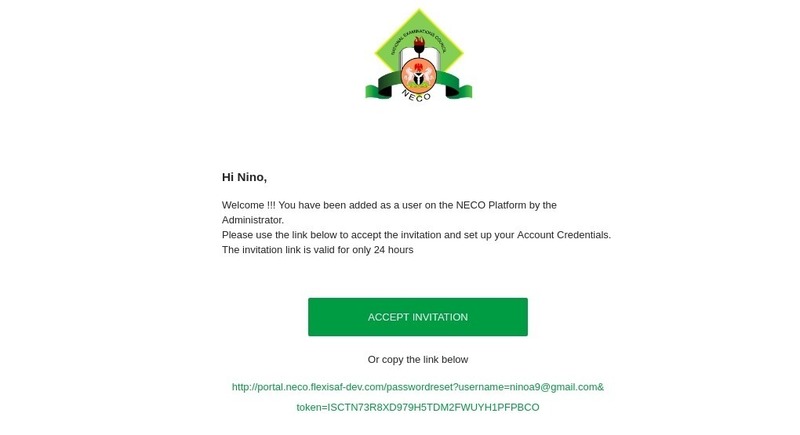 Schools (centres) are to register their candidates using the offline application before logging online to the NECO registration portal www.neco.gov.ng to effect payment of registration and other mandatory fees before uploading the candidates’ data. The minimum number of candidates to be registered by a school for SSCE Internal is twenty (20). Any centre registering less than 20 candidates is deemed unviable. Note: Registration cards will no longer be used with effect from 2019. Schools (Centres) are to log in to the NECO portal and pay the registration fees into the NECO TSA online using the payment options. 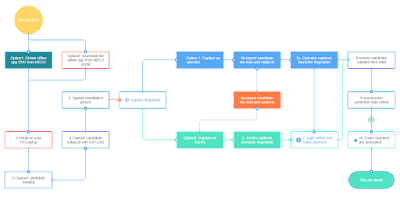 Once payment is successful, the candidates’ data can be uploaded from the offline app and only then will exam numbers be generated for the candidates. Recommended: Click here to Download NECO SSCE (June/July & Nov/Dec) and BECE Offline Registration Software. The SSCE Internal offline and online applications are a suite of software that enable schools otherwise known as centers; register their candidates, make payments - (online app), manage their candidate information, for the SSCE internal (Jun/Jul) Examination. Center must have been registered and in the database. 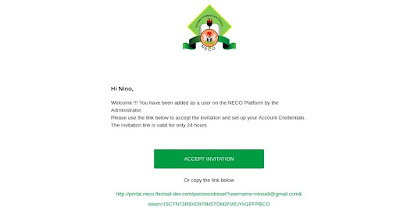 The URL will be provided only after centers have submitted validation list to NECO. Centre are required to update their information and create a CENTRE ADMIN account which it will use to manage all their candidate record by completing the process in the URL. Go to internalexams.neco.gov.ng/updatecentre enter your Centre Number/Code and select your exam type. Click on Display Centre Info, you Centre information will be displayed. As part of the requirements for the SSCE (Internal), all schools (centres) are to submit their candidates’ third year continuous assessment scores (CA3). NECO will announce the date when centres can upload the CA3 from the offline registration app. The offline application will not allow you to add CA3 for the candidates, before the announcement of the date for the submission of CA3. As soon as the window for the upload is open, schools (centres) should fill in the CA3 using the offline application. Once this is done, the entries should be synchronized to the online application. If a centre does not send the CA3 within the stipulated period, a penalty of 20,000 Naira must be paid online from the centre’s account before the CA3 can be uploaded. Results will not be released for schools (centres) that fail to upload the CA3 for their candidates. CLICK HERE TO BEGIN ONLINE PAYMENT AND REGISTRATION. (a) Photo-albums are to be purchased in pairs. Each photo-album has a provision for 171 candidates. A page has a provision for nine candidates and there are nineteen pages. A pair of photo-album cost N1,350.00 (One Thousand Three Hundred and Fifty Naira) Only. The candidates photographs pasted in the two photo-albums MUST BE THE SAME WITH THE ONE USED FOR ON-LINE REGISTRATION. (b) After completion, one copy of the photo-album is to be submitted to NECO State Office while the school retains the other copy. (a) The registration period is between March 1st, 2019 to May 14th, 2019. (b) The website will be closed on 14th May, 2019 at 12.00 midnight. Late registration will not be entertained. (c) The last date for return of downloaded statistics of the registered candidates by schools to respective NECO State Offices is 14th May, 2019. H. PLEASE NOTE THE FOLLOWING DATE AGAIN. (1) Collection of Entry Schedules by schools as from March 1st, 2019. (2) Last date for on-line registration by schools May 14th, 2019. (3) Last date for submission of downloaded copies of on-line registration data by schools to State Offices, May, 2019. Recommended: NECO Timetable for 2019 June/July Examination (SSCE). Director Examination Administration For: REGISTRAR/CHIEF EXECUTIVE.